So, first, a little background. I ran this half marathon in 2010 and the 5K in 2011, and registered for the half on two other occasions where I was unable to run because of an injury. Last year while training for Boston I signed up for the half *again*, super excited to run it when I felt like I was in pretty good shape, but alas a couple of weeks beforehand I did something terrible to my hip and couldn't run for a week. It was on the upswing so I decided I'd go ahead and start but fully expected it would still hurt too much to run 13 miles when I'd only gotten back to running 2-3 easy miles at a stretch, and sure enough, I had to drop out at mile 4. Feeling like I had unfinished business, I immediately took advantage of the cheap "re-run" registration. 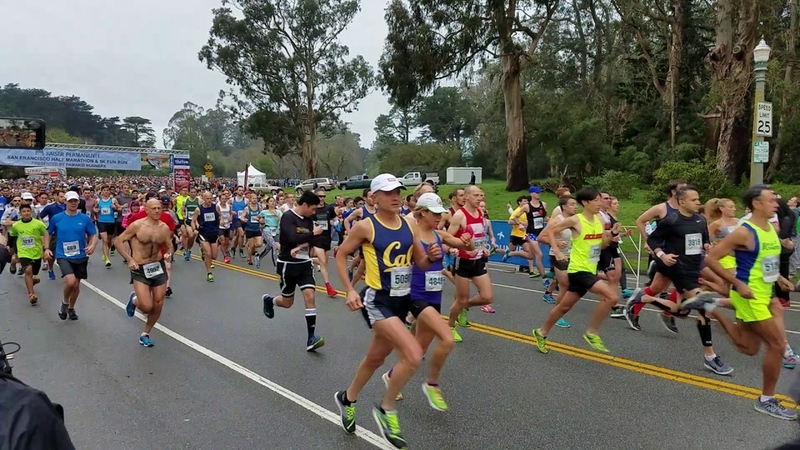 Then Boston happened, and Big Sur, and a two-month break from running, and deciding to target Wharf-to-Wharf six-miler in summer 2019 as my next big A race. So when Kaiser announced that they would now be adding a 10K distance, I jumped at the chance to practice running sixish miles in my backyard. Imagine my confusion when I got TWO different-colored bibs in the mail! 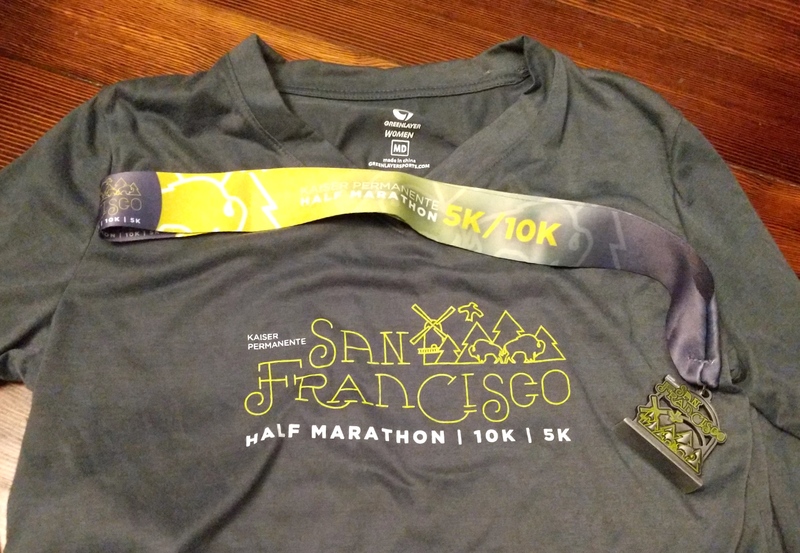 I completely forgot that I'd registered for the half already when I registered for the 10K, kind of a bummer since I probably could have just dropped down in distance for free. Ah well! In any case, when Coach Tom & I were emailing about what all I should run this year and how, he suggested that I not try to all-out race a 10K this early in my season, which I 100% agreed with (especially given that January had ended up light on actual training & a bit heavy on crazy travel). Instead he suggested I try to run the first 5 miles at LT pace (7:25ish) & the last 1.2 at 5K pace (6:50ish). I was all for that up until the last couple of weeks. Because not only have I had a very inconsistent month of training; I've also had to abandon two workouts because I just plain was not able to do them pace/effort-wise--two workouts that were a lot easier than 5 @ LT pace / 2K @ 5K pace. Plus my body has just felt super beat up from skiing; even a couple of recent easy runs have felt harder than they should, and I think I strained something in my right quad that is taking a long time to heal. So by the time this past weekend rolled around, I was absolutely dreading this 10K. I didn't sleep well Saturday night & kept having dreams that I'd already run it, only to wake up & realize, nope! The misery was still to come! Given that my fitness is not amazing right now and my body has clearly been struggling with faster paces, I decided on race morning to try to run more by effort than trying to hit particular paces, and that would be good enough. I was still nervous, but this resolution did make me feel a bit better about the race. My logistics plan didn't really work out (to be honest, I've never really felt like I've solved the logistics of this race satisfactorily), so I was a little more stressed than ideal before the start. It was cold and windy and raining so I tried to warm up as quickly as possible, getting in ~1.6 miles plus some drills and strides before they called the half marathoners and 10Kers to the corrals at 8:05. No pictures from me so please enjoy these photos of the start from a previous year. 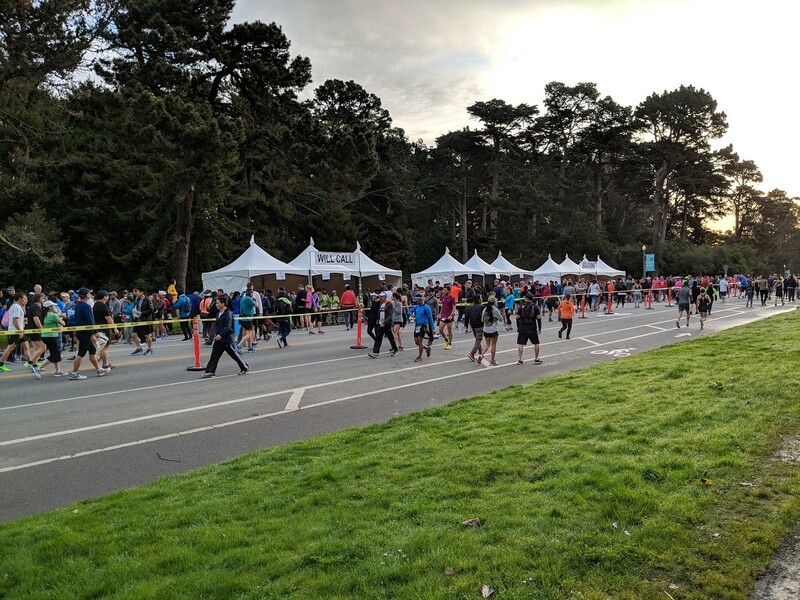 The nice thing about KP is that I know Golden Gate Park like the back of my hand and figured I knew exactly where to expect my pace to speed up and slow down a bit due to hills. The first mile going east through GG Park towards the Panhandle is always a bit slow, due partly to a couple of gentle hills, some early-race crowding, and the fact that at this race people line up near the 5:00-6:00 pace signs at the front who I am pretty sure can't even run ONE mile at that pace. I saw 7:30-7:40s on my watch during this section and thought, "Under the circumstances that is probably exactly right." Next was the slightly downhill section through the Panhandle. I picked up a little speed at first as expected, but then very quickly lost it. I tried to push & keep myself in the 7:30-7:40 range but (as has been the theme these last couple of weeks), I had to be honest with myself that that was taking more work than it should in mile 2. As we cut through the Panhandle and started back towards the Park, I expected I would slow down a bit due to the uphill (having run the Panhandle, downhill and up, multiple times a week for the last 10 years). But there was also a headwind, and my pace slowed substantially until I was running close to marathon pace (and feeling like I couldn't possibly have run any faster). Over the next mile or two it felt like the headwind got worse, and also I realized that, really, it's just the two main roads I know well (MLK and JFK for you locals), and the crossroads between the two that the course began meandering through definitely had some substantial hills that I was not prepared for. I felt like I was giving the same level of effort but steadily slowing down, down, down, to 8:00 pace, 8:10, 8:20, 8:30. 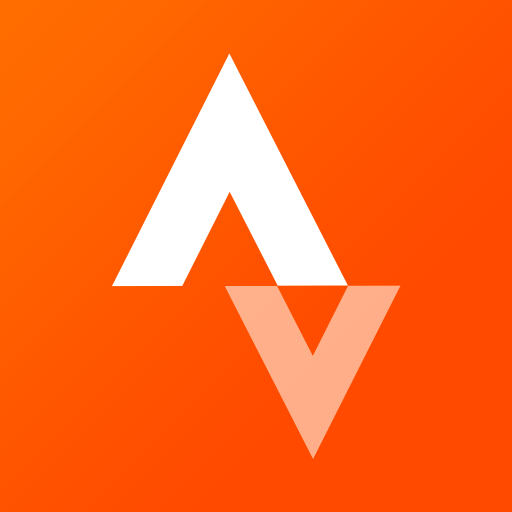 My legs felt like Jello--weak and unstable, and just responsive enough to keep moving forward. Mile 4 was definitely the lowest point. I just felt like I was running through sludge with lead boots. I wanted to at least keep the workout honest, no matter what the paces, but it was getting so hard to keep going and all I wanted was to be DONE and 2.2 miles left still seemed like so. MUCH. running left. Look how happy they are running on the Great Highway. That is not how I remember it. Apparently I was able to pick it up a bit in mile 5 and 6, but it was a real struggle. These miles do have some nice downhill if you're ready for it but my legs felt so weak and beat up that they were more unpleasant than they were enjoyable. One thing I can say is that I absolutely dug deep for a finishing kick and managed to see some low 7:00's and even mid to high 6:00's on my watch. I got through the last few tenths by identifying people to try to pick off and even managed to run a few of them down before crossing the line, so that was something. Oof. That's closing in on marathon pace, that is. O.o Obviously I was not looking for a PR or even a real "race" time, but if I'd been able to execute this workout as planned, my time would have been more like 45:20-50ish. Sigh. Now, for the positive viewpoint, which is that one year ago, I couldn't even *finish* my Kaiser race because of an injury that took me out for a week. So finishing, regardless of the time, and not having an injury or being in pain, is an improvement over that situation! So, there you go. Onwards & upwards, yes? 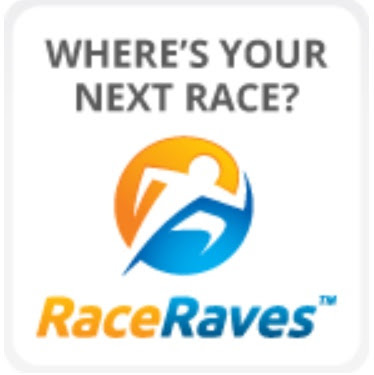 Deadlines/sellout factor: I don't think you can sign up on race day but I'm pretty sure you still could almost right up until the race. The start is stayed near the entrance to Stow Lake just a bit west of the de Young Museum, whereas the finish is near Murphy's Windmill close to the beach. 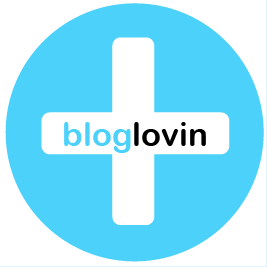 Because the start & finish are in different areas, you have to choose a parking strategy. Park near the start and take the shuttle back from the finish? That can work, though it's nearly a mile walk from the finish to where the shuttles pick up, and parking near the start can be REALLY tough because it's all residential and San Francisco. (You might be able to find parking in the park itself, but that's hard because they have so much of it blocked off for the race. Park near the finish and jog/take the shuttle to the start? Also a possibility, though I tried that this time and spend nearly half an hour looking fruitlessly for good parking. (Though I later saw people parking at the beach, so maybe I just tried the wrong area.) Still a bit of a hike to where the shuttles pick up. Park near the shuttles? An option, though you'll again have about a mile walk from the finish to your car after the race. Park at Cliff House? This is what I've done several times because it's easy and no one seems to park up there and there's a shuttle to the start. However, getting back to your car will take like an hour because 1) long walk from finish to the shuttles and 2) Cliff House has always been the last stop on the shuttle route when I've done this. PARK QUESTIONABLY AT THE SAFEWAY WHERE YOU ARE SUPER WARNED NOT TO PARK?!?!?!? I've never done this but apparently bt has been doing it for years with no consequences. This might be the best option, since it puts you close to the shuttles to the start. Still a hike back from the finish, but it may just be that you end up having to walk a ways somewhere at some point, unless you have a personal chauffeur. Kaiser is nice in that they will mail your bib to you for free if you sign up in time. Yessssss! Otherwise, they do have a bib pickup day at Sports Basement, or you can get it race morning. There is also a perfectly functional gear check where they drive the bags from the start to the finish. I have to say that I was not a fan of this 10K course. It was VERY rolling with what felt like many demoralizing hills, and several sharp turns. 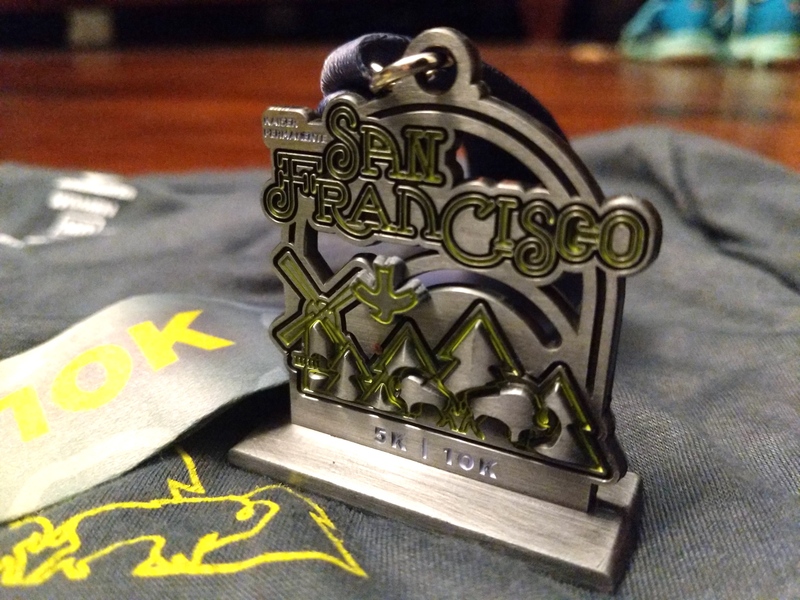 I also did not love that the 10K and half marathon courses split and rejoin several times; the faster half runners flying by me was sort of distracting, and I always felt like I was getting in the way/in the tangent of people who were maybe going to win the half. Cotton logo long sleeve T & a medal. (Smaller ones for the 5K/10K, larger ones for the half.) KP has always done long sleeve cotton shirts but I feel like they've gotten cheaper in quality in recent years. I probably won't keep this one. Though, they didn't used to do a medal at all, & I guess that money's gotta come from somewhere. 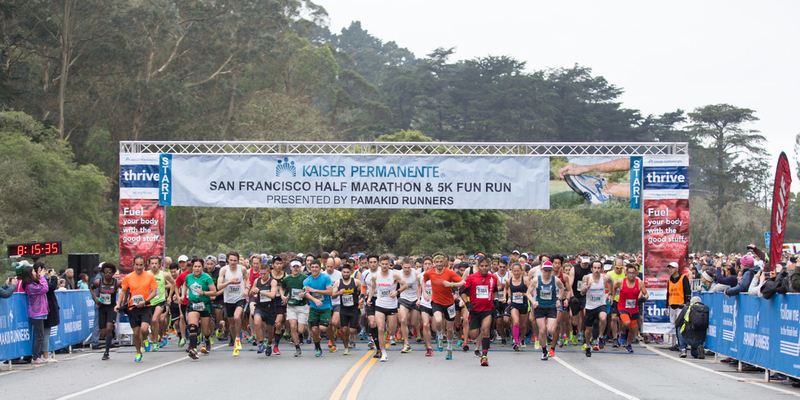 This could be a fun, maybe fast-ish 10K course, but it is probably NOT your PR course. Golden Gate Park is pretty gorgeous to run through, though. I really like the half marathon course. It is still rolling in the first ~7 miles, but it feels more spread out whereas with the 10K it felt like the hills, big & small, just never stopped coming. It does have that giant out-and-back at the end (miles 8-10 out, miles 11-13 back) along the Great Highway, which can be hot or windy because it's so exposed. It's also something to prep for mentally. I do think the half can be a PR course, but you'll want to train rolling hills. Parking. Ugggghhhh parking. I feel like there's no perfect answer. Just make a plan beforehand & park accordingly. I personally think a 10k in Jan/Feb is usually a stretch due to the ebb and flow of training. I just ran one that SUUUUUCKED. So, I commiserate. That "running slow, cant run faster / don't feel into this at all feeling" and then completely recovered quickly is exactly what I went through in 2017 and a bit of 2018. I attribute it to not enough sleep and rest / too much stress and sometimes overtraining (although in this case, it's probably just the rest thing). It's frustrating bc you can't call it an "injury" but it kinda is! This is all so mysterious and confusing. But I'm glad you finished feeling not-broken! I always park at Ocean Beach, but that lot fills up fast (by 7am). It's about a quarter mile walk to the shuttle and about half a mile from the finish.